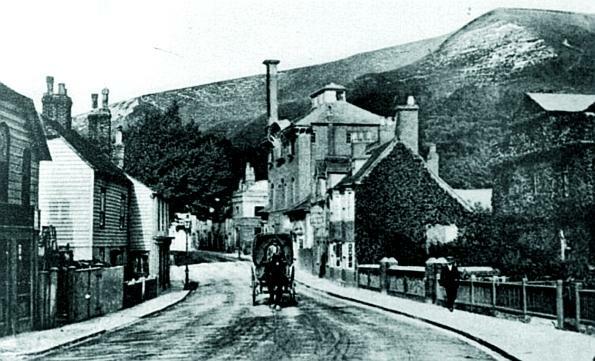 Ale and Hearty – A social and agricultural history of Brewing in Lewes. This project from Strike a Light started in January 2013 and will last for 12 months. It is being funded by the Heritage Lottery Fund, and other local organisations. The project focuses on the history of brewing in Lewes and its related industrial and agricultural links from the 18th Century to the present day, a period of some 200 years. It focuses on the community of Lewes; working life in relation to Breweries, agricultural workers and rural life and trades. It also links in with abstinence and religious culture locally at the time, as well as a clear relation between trades and society through social clubs. The breweries also made ginger beer, a non-alcoholic drink popular with young people and teetotallers. As a town which has historically been linked with the brewing trade through companies such as Tamplin & Sons, and Harvey’s, a proposal for such a project is timely. ‘Lewes is famous for having its own brewer, Harvey’s, which has been open since 1790 and still continues to make beer today. Still run by the Harvey family, the brewery is the last of the town’s original 19th Century breweries’. These breweries were the Southdown Brewery, Lyells, Beards Brewery, Harvey’s, Verralls, Ballards, and the Bear Yard Brewery. This document will document these dynasties and record their importance locally. Lewes to a great extent was built on a brewing heritage and made its fortune through the creation of ale, and ginger beer. There is a rich ale drinking tradition in the town with many independent public houses. Brewing originated as an everyday domestic activity needed to produce a liquid that was most people’s staple drink ‘small beer’. In the medieval era, brewing on the largest scale was carried out in monasteries such as in Lewes Priory. By the 18th century the more formal, purpose-built brewhouse had become an integral part of the offices typically found at the large country house. Country house breweries (such as Beards Brewery), were still being built in the mid 19th century, and this type of brewing carried on regularly until the early years of the 20th century. In addition, Lewes was famous for the production of ginger beer, a non-alcoholic beverage popular with young people and teetotallers. This industry was created by a robust rural agricultural trade, that of growing hops, barley and brewing malt, locally in ‘The Maltings’ building (now East Sussex Record Office). 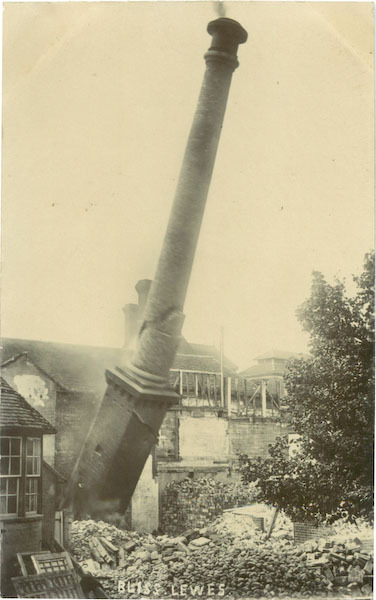 Lewes wasn’t an important industrial centre, its inhabitants being largely concerned with agriculture. But the vogue of Lewes as a residential and marketing centre made brewing a profitable industry and led to the establishment of a good many breweries and inns. Of these in 1765 the chief were The Star and The White Hart, but the White Horse, Dog, White Lion, Ship, Castle, Dolphin, Crown, and Lewes Arms. Related industry resulting from this trade locally included Blacksmith trades, Coopers, Malthouse workers, coppersmiths, brewery engineers, brewery architects, and local agricultural workers. This, therefore focuses on lifestyle, social history, architecture and the industrial revolution, where there was a clear relation between trades and society with work beanos, social clubs and trades unions surrounding this.There is a strong affection for local brewing shown through CAMRA membership, regional beer and ale festivals and a side effect of membership of the towns many Bonfire societies who all have ‘home’ pubs for meetings and tradition’s sake. This is a subject rich in potential archive material which reflects national as well as local trends. It gives a profound insight to the changes in society from the time of the industrial revolution to the present day. This project supports and facilitates the archival and contextualisation of material related to the social history of brewing. Archival material includes existing photos, business ledgers and records, deeds of title, written text and contracts available at East Sussex Record Office, Sussex Past andAccess to Archives. History provides examples of Government promoting the availability of beer as opposed to spirits in an age of industrialisation and highlights issues of responsible drinking within communities – a message which could provide a backdrop to alcohol awareness workshops in local schools, along with the history of the Workhouse, Vagrancy, and the Inebriates Reformatory in Lewes. We believe passionately in the opportunities which this provides to enrich the heritage of Lewes for present and future generations. 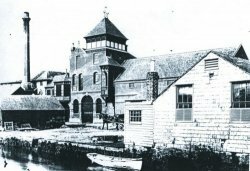 The study of brewing and its related consequences in Lewes will enhance the social history of the town and highlight its industrial archaeology as well as creating an understanding of social change, bringing to life some vibrant personalities of a bygone age. It aims to also create an historical understanding of alcohol in society and the evolution of public houses and their changing community roles. This project will engage communities, especially rural outlying agricultural communities, often marginalised, and work together with them to explore and share their hidden histories. This project’s activities will enrich local heritage, make heritage activities more accessible to people living in rural areas, and provide opportunities for them to develop new skills and interests. In terms of official recognition of heritage, Harvey’s Brewery is a Grade II* listed building. Harveys Brewery in Lewes is the oldest brewery in Sussex, dating back to 1790 and is a key partner in this project. Its rich heritage is passionately carried through to the present day. Beard’s Brewery is a Grade II listed building, and Beard’s Brewery Store is also a Grade II listed property in Lewes. In addition the Old Brewery House is Grade II listed. East Sussex Record Office, a partnership organisation for this project is based in The Maltings building in Lewes, itself a Grade II listed building. This project would link these buildings together, celebrating this industrial architecture. To find out more about this project, to get involved, or to contribute or loan material, then do please contact us here for more information. We’ll be creating a calendar of activities throughout 2013, as well as an exhibition. Watch this space to find out more! You can also find out how to get involved with this project as a volunteer and access free heritage based training skills on this following page. With thanks to East Sussex Record Office, and Lewes Library Local studies department for related material.